K.K. HOSPITAL is Best Hospital in # 9, A1, A2, 'A' SECTOR, YELAHANKA NEW TOWN. You can find K.K. HOSPITAL Contact no/phone number, K.K. HOSPITAL Book Online Appointment, Ask Question, Find & write Reviews, Hospital Opening and Closing time, K.K. HOSPITAL Fees, K.K. HOSPITAL Features, K.K. 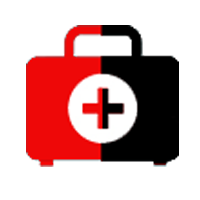 HOSPITAL Doctor list on www.365doctor.in. Tags K.K. HOSPITAL, K.K. HOSPITAL reviews, K.K. HOSPITAL Contact no, K.K. HOSPITAL Appointment, K.K. HOSPITAL Doctors, K.K. HOSPITAL Address. One of the best and affordable one in yelahanaka. Farooq is like a family doctor to us. He treats well and also one of the best doctor for children. Good care, affordable charges, and a good location make this place a good choice for a hospital in and around yelahanka.